In our digital age, access to information is critical to all facets of society. Volumetric data or 3D data in particular has become increasingly essential to many people and institutions, but access is limited by multiple factors including cost. 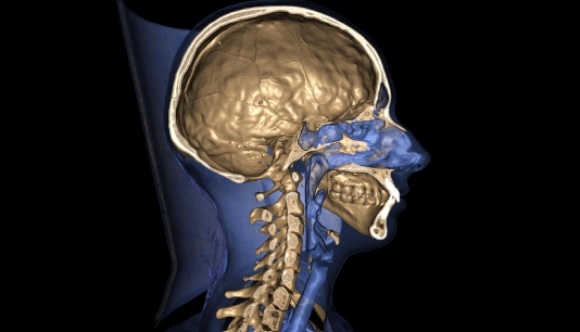 Today any 3D content is expensive to create - for example, medical imaging which is mostly still viewed in a two-dimensional form - and is therefore confined to expert users. Yet, the democratization of the use of 3D-powered information tools would not only allow more people to benefit from this cutting edge technology, but also bring more players into the field, as a result leading to the development and emergence of more ideas and applications from users embracing this form of data. Vizua is a Seattle-based company founded by veteran executives with long experience in technologies that store, manage and display high-definition, 3D images for work and play. The company enables broad-based access to volumetric 3D data, capable of being viewed and shared on any device from anywhere in the world through the Internet, therefore opening the door to new possibilities for application of the technology in everyday life. Vizua uses a cloud-based platform on which people can view, explore, share and print in 3D from any computer anywhere, with simplicity and sharing the key assets. Significantly, Vizua also offers a unique platform for software developers to share or sell 3D applications to users without the limitation of the cost of a workstation. As such, new developments are user-driven, ensuring the greatest impact. Vizua empowers the public sector, scientific and research institutions, architectural practices, artists and communications practitioners with the ability to create online communities, share knowledge and/or sell content based around 3D technology. The success and impact of the organization will be measured by the number of communities established, 3D file collections created and the level of exchange resulting in knowledge expansion. An initial concrete impact has been in the field of education, with 3D medical imaging under-utilized or absent due to cost factors. Medical students in Paris, however, are now able to work with real patient 3D cases, and explore, edit and share libraries. Similarly, students in Seattle can now conduct full body examinations on virtual dissection tables reflecting actual patient histories. This is just the tip of the iceberg when it comes to potential applications of the technology. Ongoing projects with other educational institutions, such as Stanford University, will allow schools throughout the world to access related material, like medical faculties in Africa for example, where student access to real body examinations is more limited. Similarly, many governments in North America and Europe today are working to establish large shared networks of medical data. In this context, the accessibility, efficiency and simplicity of Vizua’s 3D technology represents the wave of the future. A further offshoot of the democratization of 3D technology is linked to synergies with emerging parallel technologies such as 3D printing, which will provide the next step forward in terms of translating complex digital data into malleable physical forms. Vizua is well-positioned to drive forward this work.